It can be difficult to find a unique gift that is relevant to your line of work and isn’t either too feminine or too masculine for everyone at the office. Our biggest sellers for office holiday parties are our personalized Christmas ornaments with career themed designs in brushed silver. With several tree ornament body styles to choose from and an array of bead and ribbon colors, you can easily create a look that works for all of your recipients (male or female) and fits your company’s color scheme. With 63 different careers to choose from, our unique occupation themed ornaments are perfect for your 2013 Staff Holiday Party. Find industry gifts for hairdressers, lawyers, police officers, architects, teachers and more at Kyle Design. 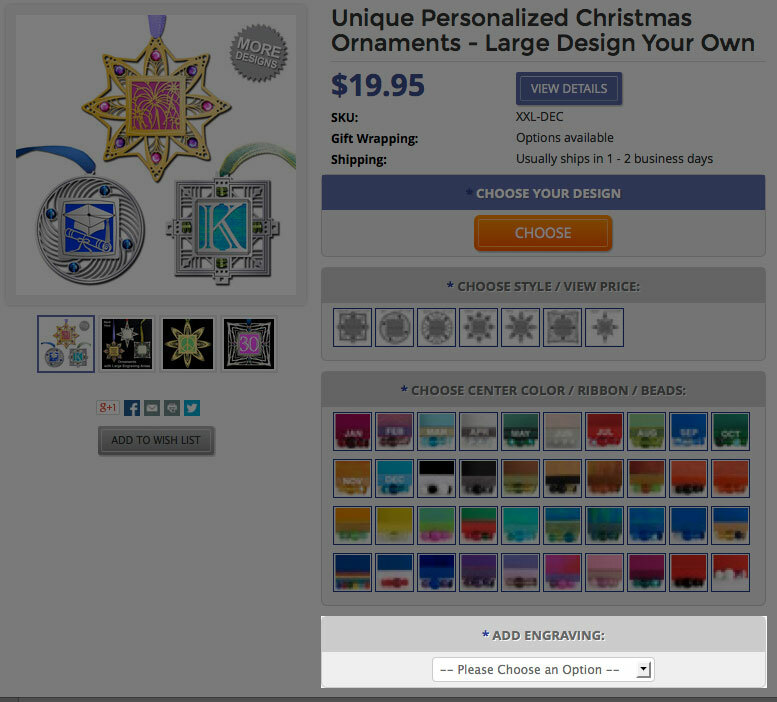 Select from our line of Design Your Own Ornaments. Add to cart and you’re done! It’s that easy to make everyone at the office feel special. Show your hard-working staff how much you appreciate them with a unique job themed ornament that represents your industry. Ready to design yours? Visit Custom Christmas Ornaments to get started. Most orders ship out in 1-2 business days even with an engraving, but with December being our busiest time of year we can’t guarantee your item will ship that fast so please call to confirm a ship date. If ordering large quantities, you should also call us to ensure your design is available in the quantity you need.